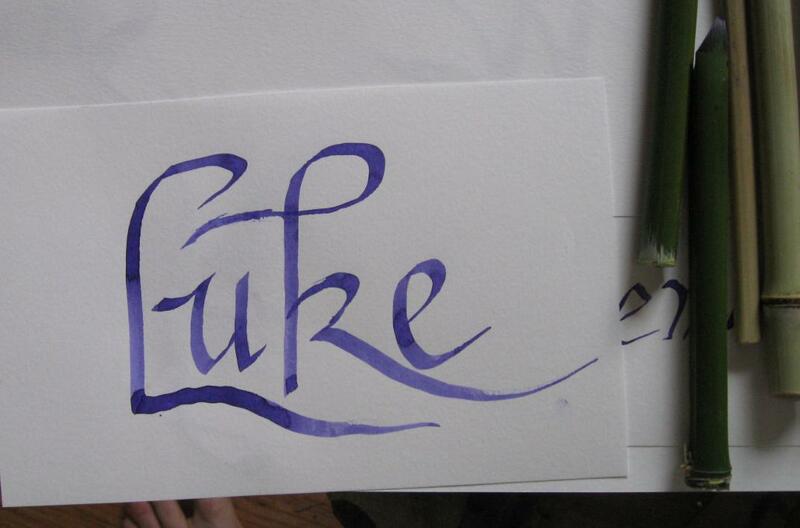 A couple folks asked how i made a bamboo nib pen for calligraphy, so here’s the quick and dirty version. 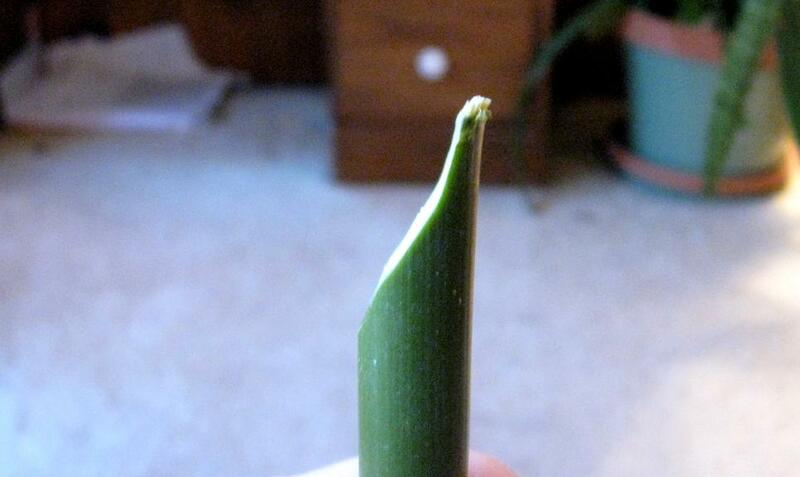 Start with a stalk that fits comfortably in your hand. It doesn’t have to be as thin as a regular pen, but you want something you can hold comfortably. 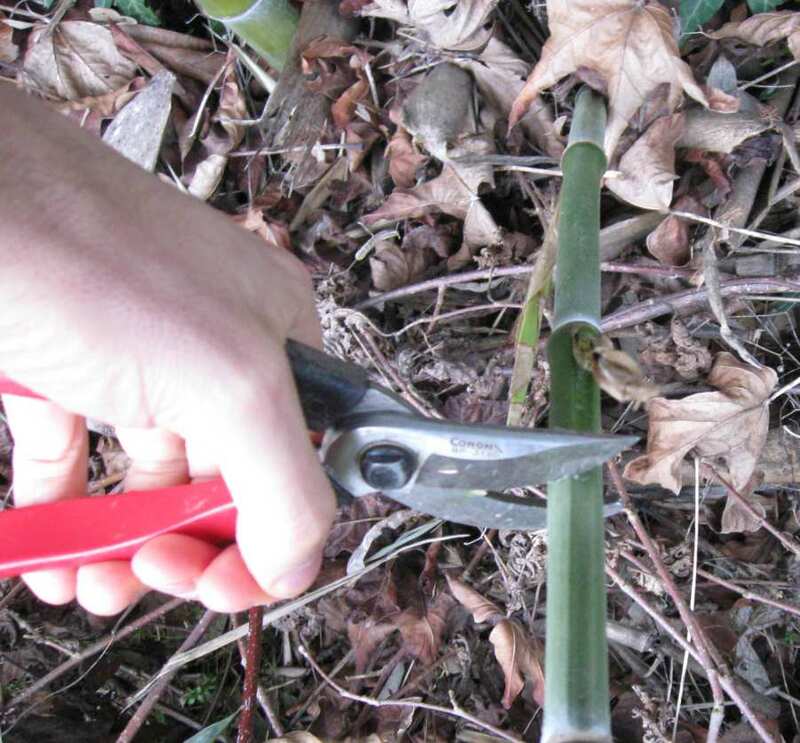 Regular garden clippers can get through the green stalk, but you still have to work at it. I usually twist it around and cut it from various sides. You want it about the length of a paintbrush. Trim off the excess branches and cut it down to proper size. 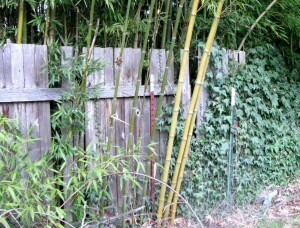 See how bamboo is flat on one edge? I think it’s best to have that flat spot resting against your thumb. So hold the stick and see how it feels most comfortable. 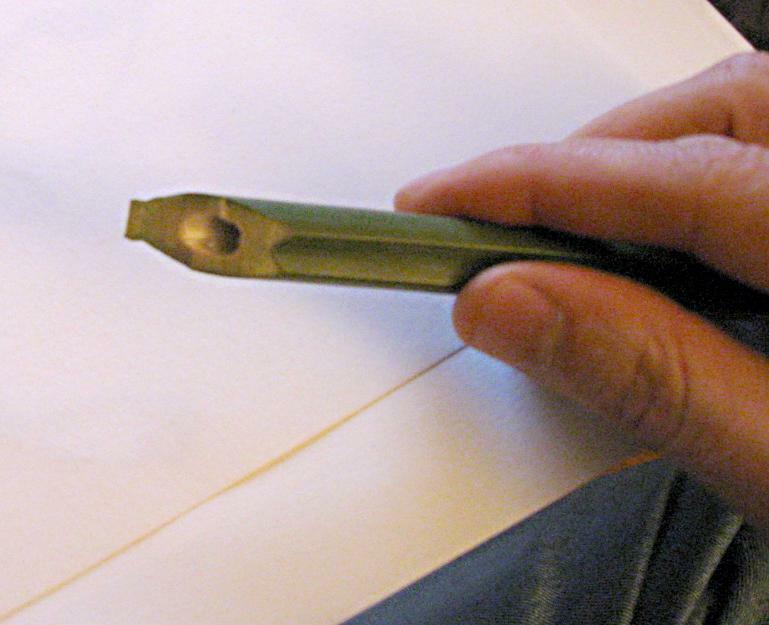 Think about how the nib will rest against the paper as you hold it. 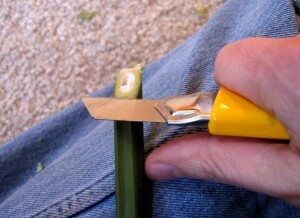 Then use a utility knife to cut away at the proper section. 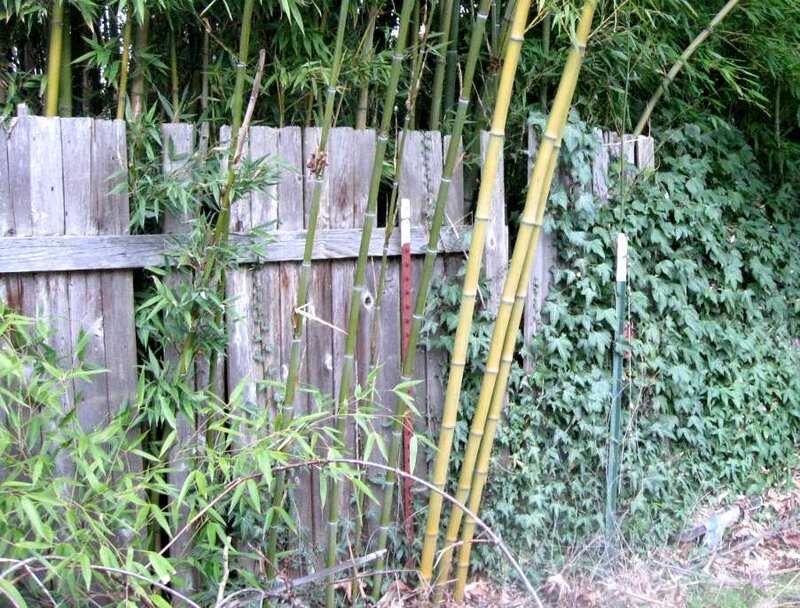 At the beginning, start about an 2 or 3 centimeters from the end and scrape at outer hull of the bamboo. It will get easier to cut deeper as you go. Take your time. Eventually you’ll have a 30 degree plane cut to the end. Once you have that, use a scalloping motion (sort of cut down and pull back up as you go) to flatten out the last centimeter or so of the nib. 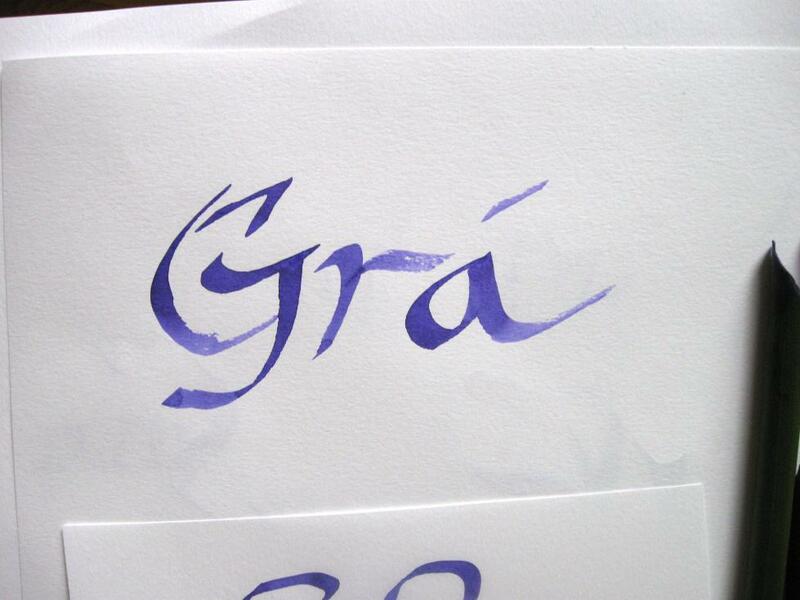 Next you’ll slowly trim the sides of the nib to make it the width you want. Again use the scalloping motion so you more or less have a flat edge leading to the tip. Use scissors to flatten the end of the nib. Keep in mind you want the nib tip to be as thin as you can (i mean thickness, you can make it as wide as you like.) Bamboo is strong and pliable, so after you trim it all down, feel free to scrape at it till it’s quite thin. 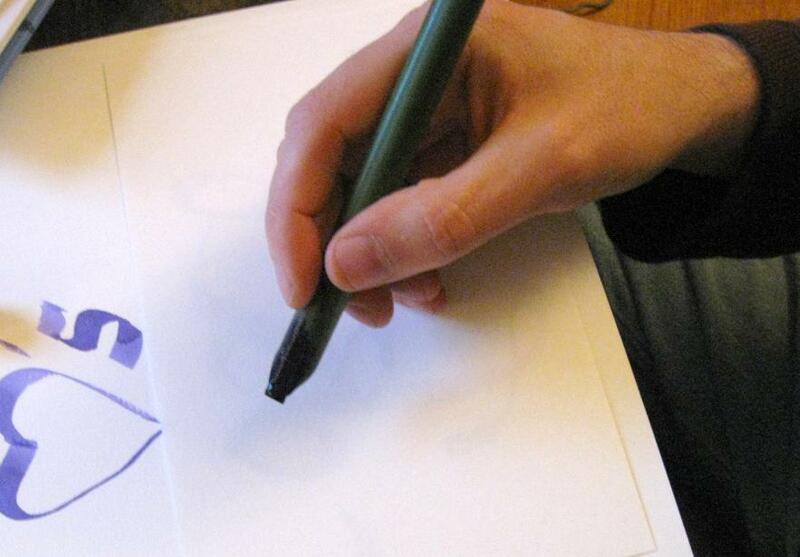 You hold it more or less like a pen, but with the flat nib parallell to the surface. 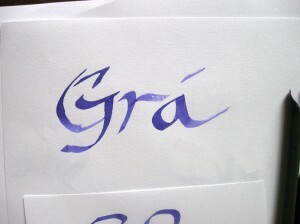 There are other guides on how to use a calligraphy pen. 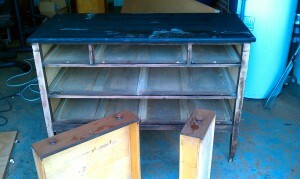 Here’s a nice one and here’s a video. 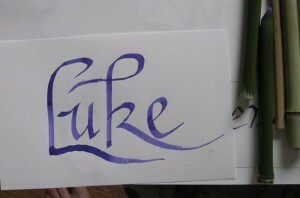 I started by doing a calligraphy for a visiting friend. 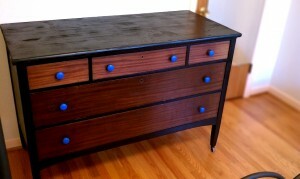 Then did one for myself.